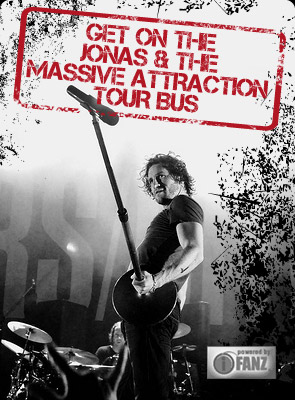 Jonas & The Massive Attraction are confirmed to play Hamburg Harley Days in Hamburg, Germany on Saturday, June 23, 2012. In summer the city of Hamburg is ruled by the two-wheelers: From 22nd to 24th of June, the European Harley Davidson community in Hamburg will celebrate a big party around the cult trademark from Milwaukee. The event venue is situated around the central market of Hamburg (Großmarkt) in the city centre, near the central station. Up to 50,000 bikers from all parts of Europe and thousands of curious sightseers are expected to come to this unique city event. A large music stage and a bikers bar will offer a large range of live music and entertainment. Professional stunt- and dragster-shows and the famous ride-in bike show in the inner city (Mönckebergstraße) will entertain all visitors. In 2006 the event attracted 700,000 visitors and established a new record, making Hamburg Harley Days the biggest inner-city motorcycle-festival in Europe. For more info check out www.hamburgharleydays.de.